If you've been online today and managed to google anything, you may have noticed the awesome Martha Graham Google icon. 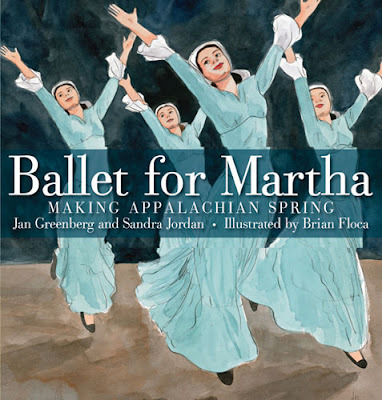 Martha Graham was a visionary in contemporary ballet and I urge you to give your kiddos a peek into her life. If you have a chance, check out this book form the library and/or hop on over to books together for a fantastic review and more info on the collaboration between Martha Graham, Aaron Copland and Isamu Noguchi. Youtube also has a few videos of dances she choreographed here and here and a peek at Applachian Spring can be found here.